With a phone number like 1-800-FUN-TOWN, it should be no surprise that Frankenmuth is full of Franken-fun! And that’s why you’ll find visitors from all over the world coming to visit Michigan’s Little Bavaria any time during our four seasons of fun! Frankenmuth has so much to offer whether you choose to come for a daycation or vacation … or if you’re a local looking for a staycation. Grab a notepad and jot down your favorites to fill the day! Here are some free or budget-friendly ways to enjoy Frankenmuth throughout the year! Cross Park greets visitors at the southern city limit near the Palmer Frankenmuth Gateway Arch. The 4-acre, mostly wooded landscape offers visitors nature trails, lush green lawn and beautiful views of the Wolkensdorfer Log House, one of Frankenmuth’s historic log cabins operated by the Frankenmuth Historical Association for history education. A giant, 50-ft. white cross in tribute to the historic tradition of the Frankenmuth community overlooks BRONNER’S CHRISTmas WONDERLAND and the Silent Night Chapel. -Riverwalk Heritage Park is encircled by a scenic, 0.9 mile paved loop that takes you along the Cass River with benches along the way. Tucked in the east corner near shaded playgrounds and pavilions, you’ll find the Eagle’s Nest, home to the Frankenmuth Woodcarvers Guild, which still meets regularly. -Playtime Heritage Park offers two playgrounds for children to swing, slide and climb; a basketball court; and sand volleyball court. Heritage Park also offers 3 different ball diamonds (available through scheduled use only). -Kayaking Heritage Park features a (handicap-accessible) canoe/kayak launch into the Cass River to offer unique and extraordinary views of many Frankenmuth landmarks including the Holz-Brücke (wooden covered bridge). -Picnic Time Choose to sit in one of four picnic pavillions or lay a blanket down by the river’s edge. At first glance you might miss this oddly shaped, 2-acre park connected to Main Street, but Zehnder Park is definitely a must see! There you’ll find one of Frankenmuth’s hidden gems, the Woodcarver’s Pavilion, nestled next to the Frankenmuth Clock Company. The pavilion is home to 27 intricately handcrafted wood carvings by members of the Frankenmuth Woodcarvers Guild that beautifully illustrate some of the Brothers Grimm fairy tales. Why not grab one of your favorite novels, some of your children’s books, or enjoy these stories and coloring pages from the City of Frankenmuth and find story-time inspiration inside the triangular-shaped landmark?! Tucked a little further back in Zehnder Park is the site of the Frankenmuth Scout Building where children will find a playground and basketball hoops.  Photo Source: Frankenmuth City. The Walkway is a short path that runs between Gunzenhausen Street and the Cass River along the flood levee. An overlook platform and benches invite guests to enjoy a view of the Cass River Dam. Or pop on down to the rock ramp and enjoy the river close up. The Cass River Dam is part of Frankenmuth’s Fish Passage project that reconnects fish of the Saginaw Bay to more than 73 miles of historically significant spawning areas. If nature is “not your thing,” you can still enjoy some of Frankenmuth’s parks! Willkommen Park is an urban plaza on top of the hill on the southwest corner of Main and Tuscola Streets and home to a memorial wall and fountain in honor of the community’s war veterans. Street-side benches provide a perfect resting spot among Frankenmuth’s idyllic streetscape. One of Frankenmuth’s largest parks at 40 acres, Memorial Park is another local favorite with year-round draws. -The Palmer Schau Platz (band shell) is home to the Frankenmuth Women’s Club’s free Concert in the Park series during summer; just bring a lawn chair or blanket to sit on and enjoy! –Hund Platz, the ½-acre fenced-in dog park, is the perfect place for your favorite fur-baby to run off-leash and get out all their energy on the dog agility equipment! -Memorial Park’s tennis courts are the perfect game – set – match for those looking to get active! With eight courts available and open daily until 11 p.m. (when not in use by the school), don’t forget to pack up your racket and tennis balls on your next trip to ‘Muth! -Memorial Park is also host to the Cass River boat launch and Rose Garden pergola, a popular draw for wedding ceremonies. Whether wandering the winding sidewalks through our quaint community or passing by through the on-road bike lanes, be sure to browse through Frankenmuth’s Biking/Walking resources to plan your route! Looking for a creative outlet? Whether you’re a seasoned pro or capturing memories on your phone, Frankenmuth’s picturesque charm is perfect for taking on a photo challenge! Print a copy of our “Tourist for a Day” photo list and share your photos by tagging @BronnersChristmas and using the #SeeFrankenmuth hashtag! Frankenmuth’s Friday Fun Nights draws entertainers from all over our great state to fill the town with free, big-city fun! Every Friday from Memorial Day to Labor Day, catch a number of different live musicians and street performers – face painting, balloon twisting, magicians and more – oh MI! (Tips encouraged.) Check out the Friday Fun Nights Lineup at Frankenmuth.org. A maize maze to amaze! Open September 27 – November 2, 2019, Weiss Centennial Farm offers family fun that is sure to delight! Make memories building navigation skills through their gigantic 5-acre corn field with more than 2 1/2 miles of paths, creating three mazes in one. Looking to increase the challenge? Choose to tour the twisted trails in the evening during the Flashlight Maze! Enjoy two different maze-games, a number of other courtyard games, a farm tour, farm- animals petting zoo or grab a barrel train ride or hayride (1-5 p.m. on Saturdays and Sundays). Youth and children must be accompanied by an adult. Looking to get lost and “find yourself”? The Ultimate Mirror Maze is sure to deliver with over 2000 square feet of thousands of mirrors reflecting endless hallways that are in reality dead ends! Whether you’re wandering backward or forward, you may never know! The Mirror Maze is sure to enchant you with a unique experience every time! Feeling like a super stealthy spy? Test your skills in The Vault laser beam-challenge by navigating your way through their state-of-the-art laser-alarm system while the clock ticks! Enjoy an all-day pass to both attractions for just $10*! (In the Bavarian Inn Lodge Family Fun Center) Indoor Bavarian-themed golf? Yup, you are in Frankenmuth, after all! The Bavarian Inn Lodge Family Fun Center’s 18-hole miniature golf course is “on par” for frugal fun with an all-day adult’s pass for just $7.50*. Check out pricing for additional ages and options at BavarianInn.com. Take gaming to a seriously new level with three different arcade options in Frankenmuth! Bring your piggy bank and try your hand at some of the latest games or your favorite classics! Bavarian Inn Lodge Gaming Center – The Bavarian Inn Lodge Family Fun Center is an Official Video Game Test Center. It is also among the largest hotel arcades in all of the Midwest, with more than 160 game options! Cass River Game Room (in River Place Shops) – Located just off the River Place courtyard, the Cass River Game Room offers over 40 great arcade games with a large redemption prize center to redeem your earned tickets. Zehnder’s Splash Village Hotel & Waterpark Arcade – If the flashing lights and stimulating music are calling your name, you’ll want to be sure to include Zehnder’s Splash Village Waterpark Arcade in your day. Over 40 games filling the 2,000-square-foot arcade! (In Bavarian Inn Restaurant’s Castle Shops) If you’re light on “dough” and in a “twist” over what to do, Bavarian Inn Restaurant has just the thing! Perfect for families, a girls weekend out or a romantic getaway. Make memories while learning how to roll your very own pretzel. Enjoy the fruits treats of your labor once they have been baked by diving in to your fresh, piping-hot pretzel! At only $6.49*, sessions occur daily at 2:30 p.m., holidays excluded. Two-hour advance notice and pre-payment required. Looking for an experience that will leave you feeling merry and bright? 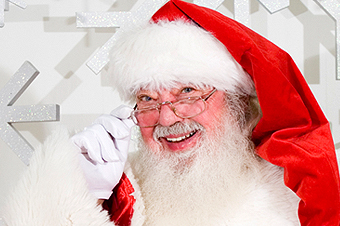 Why not enjoy a scavenger hunt through the World’s Largest Christmas Store. Grab a copy of Bronner’s Scavenger Hunt or create your own ornament challenge by asking friends and family for ideas and see what you can find! Bronner’s originator Wally Bronner was deeply moved when he first discovered the peaceful chapel in Oberndorf, Austria, in 1976 on one of his European buying trips. He set out on a journey to to replicate that chapel (with permission from the Austrian government) in Frankenmuth, Michigan. Enjoy the the serenity of “Silent Night”resounding through the grounds as you walk up sidewalks lined with over 300 translations of the beloved Christmas carol. Bronner’s Silent Night Memorial Chapel is free to visit and open daily for visitation and meditation. The Frankenmuth St. Lorenz Lutheran Church was established in 1845 by the first German settlers to the area. The current (third) structure where St. Lorenz resides was dedicated in 1880 and is the tallest building in Frankenmuth. With some of the most ornate stained-glass windows (many original from 1880), a magnificent 2,803 pipe organ, an illuminated Holy Spirit dome painted in the Fresco style found in many European churches, a pulpit dating back to 1864 and the ornate alter dating back to 1895 – this architectural wonder is definitely a Franken-must-see! Take a self-guided tour of the sanctuary from 8 a.m. to 5 p.m. or call ahead for a guided tour: (989) 652-6141. Michigan’s Own Military & Space Heroes Museum features an expansive exhibition honoring our state’s military men and women. With 140 displays and a collection of over 700 exhibits spanning America’s seven foreign wars, space program and more, you’ll hardly believe this hidden gem is budget-friendly at only $7* general admission (see site for additional pricing and discounts.) Pay tribute to Michigan’s heroes, many of whom are gone but never forgotten thanks to the Michigan Heroes Museum. Nestled right in the heart of downtown is the Frankenmuth Historical Museum where, for just $2* or a $5* family pass, you can step back in time through an interactive journey of Frankenmuth’s origins! This historic building features an array of beautiful exhibits and a unique gift shop offering locally crafted and European goods. Come get a taste of Frankenmuth … or simply enjoy the eye-candy by watching some of our most delicious treats being created right in front of you! Everything is better with chocolate! Sweeten up your trip to Frankenmuth by watching chocolatiers create their amazing original recipes in copper kettles then hand paddled on thick marble slabs, often with free samples to try! Or stop inside Zac & Mac’s Chocolate Haus to catch chocolate covered confections being made in their kitchen daily! Come see the 37 year tradition of fresh water taffy at the Frankenmuth Taffy Kitchen! Cooked, pulled and kissed right in front of your very eyes! Choose from over 23 flavors and take home a small box of the tasty treats for just $6*! If sweet is not your thing, choose to stop by the tasting room of the Great Lakes Olive Oil Company for a unique experience! Sample a selection of gourmet, imported olive oil and balsamic vinegar from their first class tasting bar. From a wide selection of Michigan wines to delicious, hand-made chocolates, the Frankenmuth FunShips Tasting & Tours company offers an in-store, edible experience to delight that won’t depress your wallet! Enjoy a selection of 6 wines paired with 5 handmade chocolates, or omit the chocolates and opt for a souvenir glass instead for just $5* (sparkling juice can be substituted.) Or choose to enjoy their chocolate tasting for only $3*! Michigan grown – Michigan made! St. Julian’s winery is the oldest and largest in the state, having been operated by the same family since 1921. Their Frankenmuth location offers over 60 products to choose from (choose 6) in a “Standard Tasting” package for just $7* and keep the complimentary logo glass to take home! This is just a sampling of the many things Frankenmuth has to offer! Be sure to stop by the Frankenmuth Visitor Center to pick up your savings book with over 75 coupons for local businesses! Or check out Frankenmuth’s site for special deals! We hope you’ll enjoy some of these budget friendly ways to come and #SeeFrankenmuth! *Prices reflected in this post are subject to change.